The sun never peaked through the clouds Sunday. The was an occasional drizzle. It is unseasonably cool. Otherwise, The Players moving from May to March was great. Not good. Not really good. Not outstanding. No, the 2019 Players Championship was great. I’ve been there when Nicklaus, Trevino and Floyd won when the tournament was played at Sawgrass Country Club. I was there for Mickelson, Couples, Love and Price winning. I saw Norman’s record-setting victory, Ricky’s great finish and Craig Perks’ improbable finish. I was there for victories by McCumber, Duval and Funk. I’ve seen great moments and outstanding tournaments. But nothing like what took place Sunday at the Stadium Course. A future Hall of Famer, Rory McIlroy won, but not before it seemed everybody in St. Johns County had a shot. On the back nine on Sunday, there were 11 – that’s 11 – players with a reasonable chance to win. Englishman Eddie Pepperell, who almost withdrew Tuesday because his game was so bad, holed a 50-footer at 17 and suddenly he was among the leaders. Then Jonny Vegas holed a 69-footer, the longest putt on 17 in history and he was one of the co-leaders. Another of the contenders was 48-year-old Jim Furyk, a longtime resident of the First Coast and a borderline Hall of Famer. When Furyk accepted the Ryder Cup captaincy two years ago, it appeared his playing days when pretty much over. He played a limited schedule and, this year, he seemed to be trying to keep his game sharp for the senior tour. 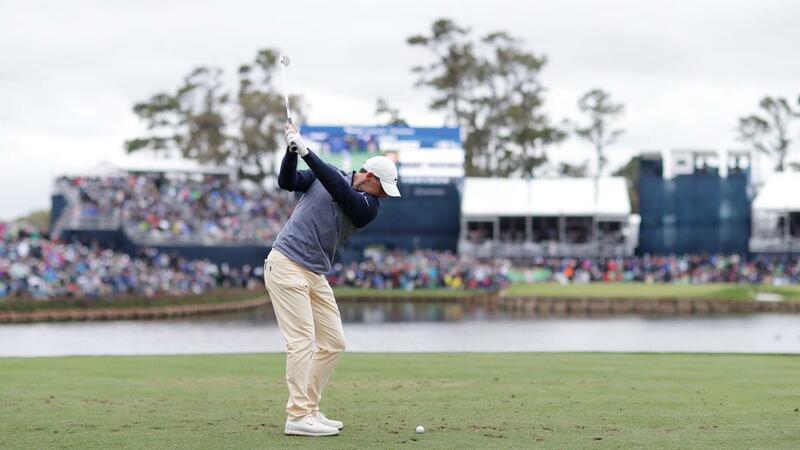 But good play recently got him in The Players field and, lo and behold, there he was Sunday finishing off a closing 67 with a birdie on 18 and walking off as the clubhouse leader at 15 under par. He was about to become the oldest Players champion. A playoff, at worse, appeared likely. But McIlroy finished like a champion and won at 16 under. I’m not trying to convince you to like golf, but if you didn’t watch, well, that’s your loss.